ILIA Online is a unique e-learning platform with courses, workshops, and resources in the field of international human rights law. Its courses are certified by the European Humanities University in Vilnius, Lithuania, and have been positively evaluated by well-known experts in the field of human rights education. The platform is for lawyers and human rights defenders. For 10 years it has been the foundation for members and partners of Human Rights Houses to hold comprehensive academically certified “education cycles” in international human rights law. It continues to be a space for learners and alumni to engage and network across borders. To build on the successes of ILIA Online, Educational Human Rights House Chernihiv has taken over the operation and further development of the human rights education programme and platform, and is in the process of consulting partners from across the network of Human Rights Houses. The aim is for them to coordinate education cycles or host specific courses, to increase knowledge, awareness, and skills in human rights promotion and protection. 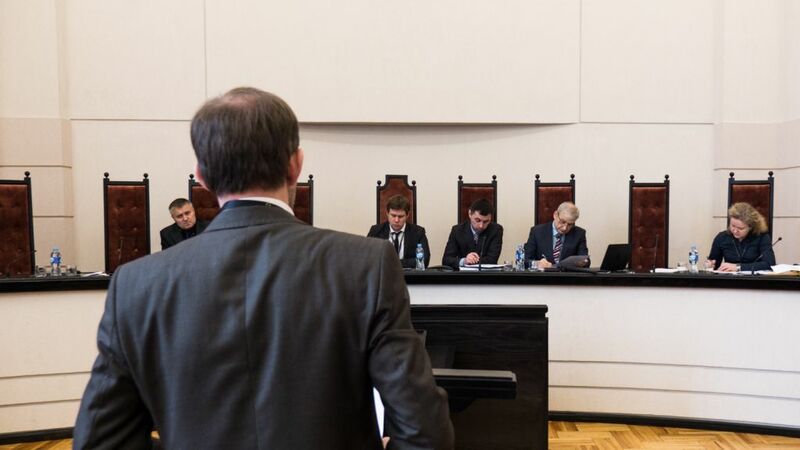 Partners from Ukraine, Belarus, Moldova, Russia, and Georgia have already led more than 200 lawyers and human rights defenders through education cycles using ILIA Online. In each case, they have drawn on the core of the education programme, while customising courses and modules or including a national tutor to suit their country or thematic priorities. Celebrating 10 years of ILIA in December 2016, national partners of the programme gave their views on its importance and successes. In-person introductory seminars for learners in their respective country. Online distance learning seminars and lectures as the core teaching method. Home reading and research using the ILIA Online E-Archive. Home assignments and online tests. Consultations with experts and evaluations of their home assignments. A final international conference, often including a moot court. ILIA Online is operated by Educational Human Rights House Chernihiv. ILIA Online has developed organically over time as the remote learning component of International Law in Advocacy (ILIA), a programme by Human Rights Houses to address human rights challenges through education in international human rights law. Strategically, this programme has been inspired by the need to ensure implementation of international human rights standards at the national level. It sees educating lawyers and defenders as a channel to bring international standards home – to ensure standards agreed internationally are implemented nationally, and that the language, understanding, and values of human rights find their way into court rooms and legislatures, and into the political culture. Combined, the courses take a comprehensive approach to human rights education, offering an overview of the international human rights system as well as instruction on how to apply international standards at the national level. The curriculum was developed by partners of the international network of Human Rights Houses – by experts who share a common understanding of the need to improve the level of implementation of human rights standards and provide better protection for civil society organisations, human rights defenders and the wider population. For each education cycle, partners will need to update and adapt the content of the courses for their own use, and include an expert on the situation in their country. This approach helps learners to see the bigger picture with regard to human rights standards, and to understand that they are contributing to building a peaceful, pluralistic and inclusive society in which everyone is aware of the rights of others. It instils in its participants a high level of awareness and understanding of universal human rights standards. The framework for the curriculum is based on the principles of the Universal Declaration on Human Rights, relevant human rights treaties, and the UN Declaration on Human Rights Education. Broaden your philosophical perception with regard to the nature of human rights. Develop your ability to use philosophical and legal knowledge in order to base your own position on the issues of law-making, law-enforcement and interpretation of laws in the sphere of human rights. Expand your theoretical knowledge in the sphere of normative content and interpretation of selected international human rights standards (right to a fair trial, prohibition of torture). Develop practical skills in applying individual international human rights standards at the national level. Gain an introduction to the basic mechanisms of human rights protection within the UN system (treaty-based and the UN Charter-based bodies). Learn how to use these mechanisms at the international and national levels, including how to compare these mechanisms and choose the most suitable for individual cases. Get general information on the European system of human rights protection and the main milestones of its development. This includes the structure of the European Court of Human Rights (ECtHR), main stages of review of complaints, types of decisions made by the European Court, and complaint admissibility criteria. Also, develop your skills on preparing a complaint to the ECtHR. Gain insight into the implementation of international human rights standards at the national level and the depth of interaction between international human rights law and national legal systems. Learn how to apply international legal standards in the analysis and interpretation of national legal provisions and practice, and get to understand the key role that lawyers play in the implementation of international legal obligations and constitutional guarantees in the sphere of human rights protection. Understand the constitutional system of human rights protection and its place in the national legal system. Learn how to analyse and interpret the decisions of national constitutional courts, and how to apply the mechanism of constitutional complaints – including the limits of this mechanism within the national legal system. Understand the legal concept of “moral damage” (non-pecuniary damage) and its importance in the full restoration of violated human rights. Learn how to apply this concept in the protection of human rights and freedoms. Learn the basic principles of international humanitarian law and its correlation with international human rights law. Learn about the international standards on human rights that are not addressed in the core courses, including on freedom of speech, freedom of association, prohibition of discrimination, and right to the protection of property. ILIA Online takes the approach of “tutored e-learning”, with courses managed, curated, and customised by tutors. This ensures the materials are up-to-date and relevant, and puts learners in direct contact with international experts and practitioners. During previous cycles, learners have been guided by a national coordinator for any logistical questions, and by a national expert, a tutor and an international expert for curating the content of courses. New partners would need to put in place a similar setup to update the existing course material and adapt it for the situation in their country. Courses via ILIA Online have also been combined with in-person activities in many cases, with this proving to be the approach most suited for professional lawyers. Learners undertake educational cycles as part of a “learning community”. This encourages discussions and interaction with peers and allows for the cross-border exchange of perspectives on human rights. The methodology and formats of the training consider the specific needs and working conditions of learners and their expectations regarding knowledge, skills and the widening of their professional network. Undertaking single courses, learners can also increase their knowledge in a specific area of human rights – as the need arises. Yet, the most benefit arises from joining a full education cycle – where the full uniqueness of ILIA Online’s comprehensive educational programme distinguishes it from the individual human rights courses offered by other organisations. While the courses of ILIA Online cover the theoretical and philosophical aspects of human rights, they also focus on practical application, ensuring that partners implementing education cycles enable learners to contribute to the prevention of human rights violations. After completing an education cycle, learners know how to take a human rights-based approach and implement legal standards in their daily professional activities. Addressing threats to human rights defenders, they understand the legal framework for defenders and how to pursue extra protection for people targeted for their activities related to human rights. Learners also know the opportunities and limits within their national legislation and practice, and draw inspiration from international standards and the diversity of the national legal systems of learners and experts engaged in the training. Learners and alumni are encouraged to disseminate knowledge, awareness and skills related to international human rights standards and instruments, and to strengthen networks of professional lawyers and build bridges between lawyers and human rights organisations. In many cases, engagement within the learning community continues long after graduating, as learners have the opportunity to enter the ILIA alumni network. 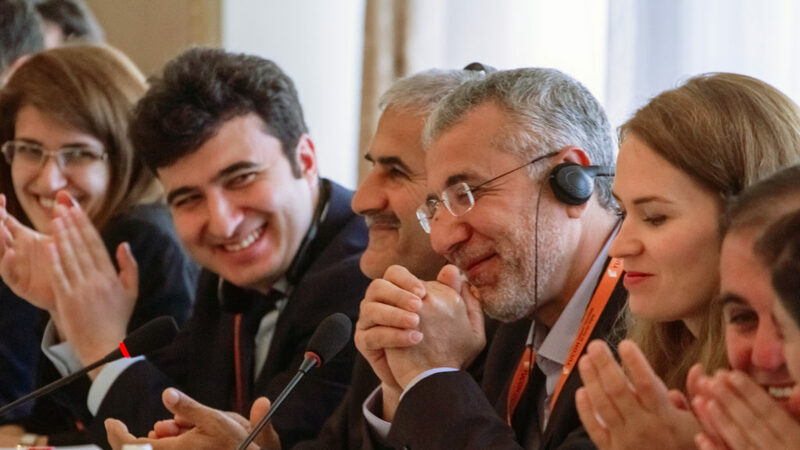 Some 90% of alumni continue to work with Human Rights Houses or other human rights organisations, while 97% report that they use the knowledge gained in ILIA in their professional activities. As of end 2015, at the end of the last formal education cycle, alumni had taken 172 strategic litigation cases in the area of human rights, and 4,860 consultations on human rights violations. These numbers are sure to have increased, as the alumni network continues to be active. Alumni continue to use ILIA Online as a platform for collaboration – exchanging knowledge, experiences, and best practices, and sharing opportunities for cooperation. They document, evaluate, and report on topics essential to the work of human rights lawyers, including the risks they face or the need to establish international protections, and offer inspiration and solidarity to strengthen their work. ILIA Online also hosts workshops and forums developed by partners and experts of previous education cycles. These resources provide a space for alumni to gain additional knowledge and skills on topics that are of professional interest to them, to continue networking with fellow ILIA alumni and new learners from other countries. Developed jointly by national experts, alumni and managers during solidarity and advocacy campaigns for human rights lawyers under threat. 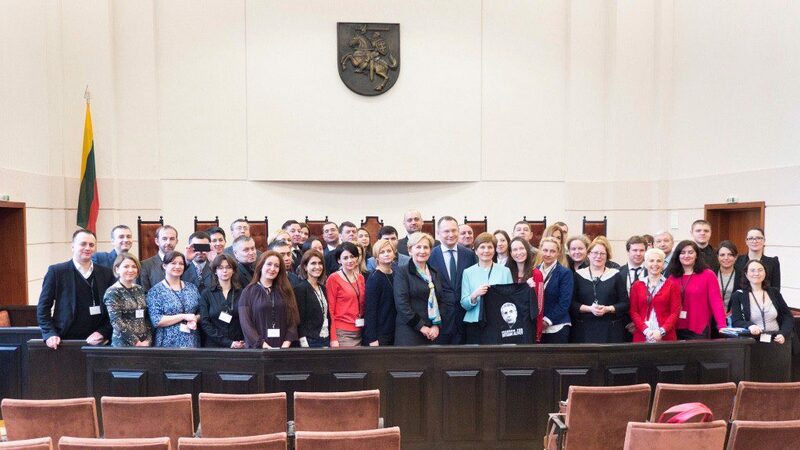 As part of this, experts and alumni of ILIA contributed to the Human Rights House report Human Rights Lawyers at Risk. Developed by the ILIA national team in Belarus, this forum shares expertise on individual complaints to the UN Human Rights Committee, including admissibility, argumentation, and implementation. Developed by the national team of Belarus, this focuses on the Convention on the Elimination of All Forms of Discrimination against Women. It covers contemporary forms of discrimination, individual complaints to the UN CEDAW Committee, and the implementation of the Convention. ILIA Online is currently open to new partners from Human Rights Houses and their member organisations. We invite these groups consider the benefits of using ILIA Online, and to contact us for more information. National partners will need to invest time and resources in setting up an education cycle. ILIA Online provides the courses and basis for such cycles, but as with previous cycles, national partners will need to fundraise and allocate resources for a coordinator and for national expertise to supplement the core content. With experience as a national partner for many years, and now leading the operation of ILIA Online, Educational Human Rights House Chernihiv is ready to guide you through the process of becoming a national partner.